The Board Leadership Forum is the region's first and only daylong training and networking opportunity exclusively for nonprofit board members and executive directors, featuring three learning tracks on nonprofit governance, fundraising and managing organizational change, and nine workshops by leading experts on the latest trends in the field. Nonprofits in the tri-state area aim to tackle regional challenges and build vibrant communities. Achieving this impact requires resilience—focusing on the long term, while continually assessing and responding to current needs. It also requires attention to process, not just results. Rodney helps us find the fun in developing and flexing the muscles we need for both. 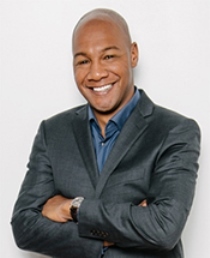 Rodney brings to FMA more than 20 years of consulting and grantmaking experience in the nonprofit and philanthropic sectors. His primary work with FMA is to provide training, consulting and coaching under the arm of its Philanthropic Advisory Services, which are designed to build the capacity of funders to engage with grantees about their financial needs. Rodney works to stimulate and facilitate productive conversations between nonprofits and their funders, enabling nonprofits to achieve long-term impact from a position of strength while giving grantmakers confidence their dollars are going to well-managed organizations. 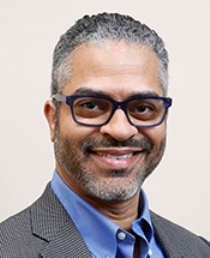 Prior to joining FMA, Rodney spent five years as a director on the Integrated Capitals team at Heron Foundation, where he led a grant practice that provided nonprofits with business planning support and sizable multi-year capital grants to support healthy growth and change. Prior to that, he spent 15 years developing the consulting practice at Nonprofit Finance Fund, serving as a trainer and consultant to more than 400 nonprofits and 80 grantmaking foundations in 30 states and across subsectors, including human services, arts and culture, education and community development. Rodney holds an M.S. in urban policy analysis and management from the New School and a B.A. in social sciences from Bard College at Simon’s Rock, where he currently serves as a board member and which established a scholarship fund in his name in 2006 to help students study abroad. GOVERNANCE / Problem Solving and Decision Making: What’s a Board to Do? Problem Solving and Decision Making: What’s a Board to Do? Boards make decisions that matter. Effective boards understand why some decisions fall to them and why some do not. This workshop presents several real-life scenarios and engages participants in exploring a range of options for problem-solving. Choices demonstrate the dilemmas boards wrestle with, and discussion provides a better understanding of a board’s roles and responsibilities. 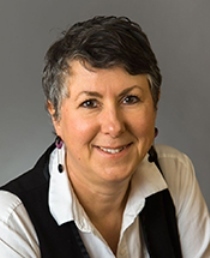 Dr. Doe Hentschel is vice president at Leadership Greater Hartford, a nonprofit organization that strengthens the community by training and connecting aspiring and established leaders. Doe was named to the International Adult and Continuing Education Hall of Fame and the 2018 Top Ten in Connecticut’s 60 over 60 inspiring leaders. 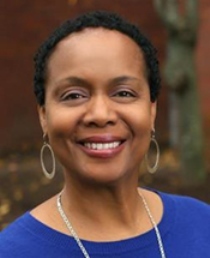 Mae Maloney is the program director for Leaders On Board, a Leadership Greater Hartford program that trains prospective nonprofit board members and connects them to nonprofits seeking new members. Through it, more than 650 people have been placed on 130 boards. Mae is among the 2018 class of Hartford’s 40 under 40. While strategic change can be hard to manage, it is possible to navigate effectively. This workshop will increase participants’ understanding of the basic elements of the change cycle; help them reflect on how well they are applying elements of the cycle; and identify areas of action to improve their approach to change. Wendy has 20-plus years of consulting experience helping clients across multiple sectors with system-wide organization and culture transformations. She is drawn to this work because of the opportunity it provides to create environments where people feel valued and connected with others. Her focus on the human side of organizations and deep knowledge of how to navigate change enhances her effectiveness. She has the knowledge and experience to design strategies and implement approaches that help her clients overcome organizational resistance and move in their desired direction. Wendy is accomplished at taking a strategic idea or conceptual design and understanding what it will take to make it operational. She is valued for her ability to co-create solutions with different stakeholders. This workshop walks through an inspiring example of a wildly successful major giving strategy and structure. It features insights from an executive director and board member of a small organization who worked together to launch a major giving program and closed over $2 million in one month. Key performance indicators for this board-led program and a template for executing your own major giving effort are included. Sondra is president of Harvest Development Group, LLC, parent company of the Boardroom. Harvest provides consulting in assessment, strategy, philanthropy, recruitment and interim management to nonprofits nationally. A nationally sought-after speaker, Sondra has 25 years of executive leadership in mid- to large-size organizations. Marty is managing contractor for the Boardroom, a consulting group supporting the growth and development of strong board leaders, healthy board ecosystems and organizations building premier boards. Marty is a seasoned management and operations professional with over 25 years of experience supporting organizations and over 40 years as an educator and group facilitator. The most valuable asset in any organization is its people. When organizations commit themselves to managing unconscious biases and fostering a diverse team, they improve decision-making and attract top talent. In this workshop, board members discover strategies for reducing bias and creating a more inclusive organization. Kenya is a passionate and trusted consultant who increases the confidence, motivation and performance of others. He is a persuasive facilitative leader who uses his business acumen to build commitment and accountability among staff at all levels of any organization. Kenya has nearly 18 years of experience delivering results-oriented consulting and facilitation to a diverse client portfolio. He holds certifications in various learning and organizational development topics and continues to supplement these through his commitment to lifelong learning. Evaluation provides a systematic process for using data to inform decision-making. This session arms participants with knowledge and clarity on how to support organizational change efforts that use evaluation throughout the process. Board members and executive directors will emerge with a framework for understanding evaluation in the context of organizational change management, as well as new ideas for supporting change. Deloris currently serves as Everyday Democracy’s director of evaluation and learning. Her work entails helping organizations expand their evaluation capacity and conducting targeted evaluations of major initiatives. Deloris believes that organizational success is linked to good data driving strategic planning and decision-making. She has over 15 years of professional experience working in the field of evaluation. She has trained and coached nonprofit professionals on evaluation planning and implementation, taught undergraduate and graduate courses, and successfully established and operated her own evaluation consulting practice. By using evaluation as a platform for engagement, Deloris helps people define what success looks like for them and ways to measure the impact of their work. This session provides as a framework the five shifts all nonprofit leaders need to make (and the most effective leaders have already made) to successfully position their nonprofits to raise more revenue in a sustainable way. Participants will leave the workshop with the knowledge, skills and tools to begin to raise significantly more money for their organizations. 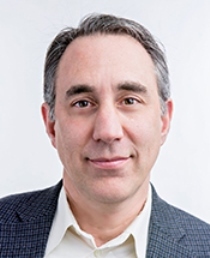 Kenny Weill launched K. Weill Consulting Group in 2002, which focuses on strategic fund development for nonprofits. His practice works with boards and executive staff on fundraising assessments, creation of actionable fund development plans, case statements, appeals, online giving strategy, grant research and writing, Constituent Relationship Management (CRM) database solutions and more. A published author, he regularly trains, coaches and presents on fund development strategy. In 2009, Kenny co-founded NPO Connect (http://npoconnect.org), an online skill-building platform for nonprofit professionals and volunteers. Prior to consulting, Kenny held management, research and other positions in community-based, academic, health care and government settings. He received an M.S. in health policy and management from Harvard School of Public Health and a B.A. from Wesleyan University. Gayle Gifford, Cause & Effect Inc.
Do you have a board with the knowledge, talent, diverse perspectives and community connections you need? Learn practical ways to find, vet and recruit the board members you need, and get helpful guidance to ensure that your board is the one on which people want to serve. A nationally respected consultant, author and trainer, Gayle has 30 years of experience providing strategic advising and consultation to the nonprofit and public sectors. Gayle's work enables organizations and networks to achieve consensus on their strategic direction and build needed capacity to realize their community impact. 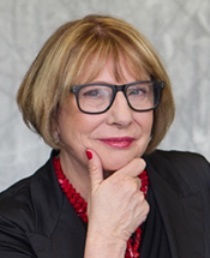 An adjunct instructor at Brown University and a board member herself, she is co-researcher on the national study “Voices of Board Chairs.” Gayle is author of two books and a contributor to four others on nonprofit governance and fundraising. Riffing on management guru Peter Drucker and philanthropist Judith Rodin, here is what we know: culture eats strategy for breakfast, lunch and dinner—and every snack in between. Ignoring or underestimating our organizational culture can undermine the best strategy and planning efforts, leaving an organization stuck in a frustrating cycle of repetition and, often, recrimination. This session addresses how leadership can build and sustain an intentional and constructive organizational culture. 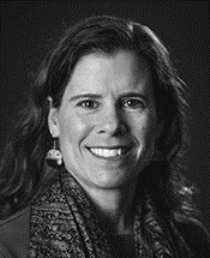 Building on her career as a private foundation president, a nonprofit executive director and accomplished academic, Marci is a highly effective, broadly experienced and deeply knowledgeable professional dedicated to advancing the success and effectiveness of mission-driven organizations. As a consultant, she works closely with boards of trustees and high-level staff in customized engagements to develop their leadership in governance and management, and to build organizational capacity for greatest mission impact. A strategic thinker, creative problem-solver, “eloquent listener” and deft facilitator, Marci brings substantial career experience as well as theoretical and practical knowledge to benefit each client’s unique circumstances and needs. Board members can have a significant impact in stewarding donors. Learn how you can increase your organization’s revenue, build a more sustainable fundraising program and meet some amazing people along the way. For over 30 years, Sharon J. Danosky, founder and president of Danosky & Associates, has dedicated her career to working with nonprofit organizations. As both a consultant and a senior executive for numerous charitable organizations, she has transformed organizations into highly effective charities. Sharon has worked on all sides of the nonprofit arena as a senior professional working on the executive management team of several highly effective nonprofits. A skilled consultant, she has helped grassroots organizations grow and led major initiatives for established nonprofit organizations, including medical facilities, human service organizations, environmental groups, children’s causes and arts/cultural organizations, among others. Recently, Sharon was appointed as a BoardSource Certified Governance Trainer. 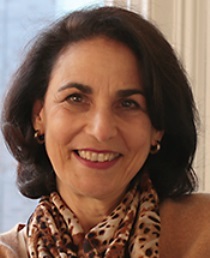 In addition, she conducts seminars and lectures through her many affiliations, including AFP, The Alliance: The Voice of Community Nonprofits, CCF, CLCC, FCCF, Westchester Association of Development Officers, CFNWC and the Rhode Island Foundation.